In the second post I made on this website, I argued that Nordic socialism is realer than many people seem to think. Add to that case this statistic from the recently released World Inequality Report: the government of Norway owns around 60 percent of the nation’s wealth. In fact, state ownership in Norway is now nearly double what it is in China. Casual observers of Norway might tell you that this is primarily the result of their $1 trillion social wealth fund, which was seeded by oil revenue from the North Sea. But that fund was not established until 1990 and did not receive its first inflow of cash until 1996. As you can see in the graph above, the Norwegian government already owned 40 percent of the national wealth prior to the creation of the oil fund. In addition to its oil fund, which is exclusively invested outside of the country, the Norwegian government owns around one-third of the domestic stock market and 70 state-owned enterprises, which were valued at 88 percent of the country’s annual GDP in 2012. 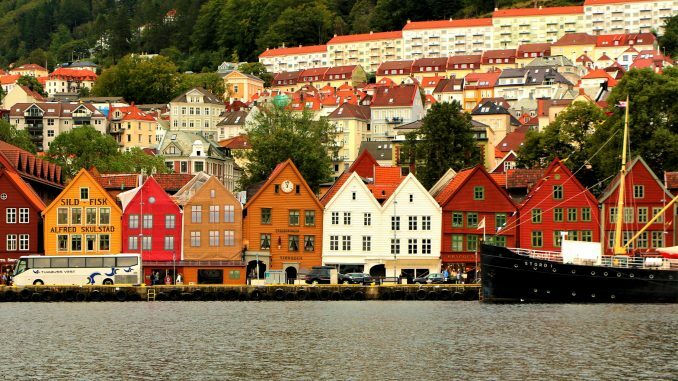 There is little doubt that, in terms of state ownership at least, Norway is the most socialist country in the developed world and, not coincidentally, the happiest country in the world according to the UN’s 2017 World Happiness Report.